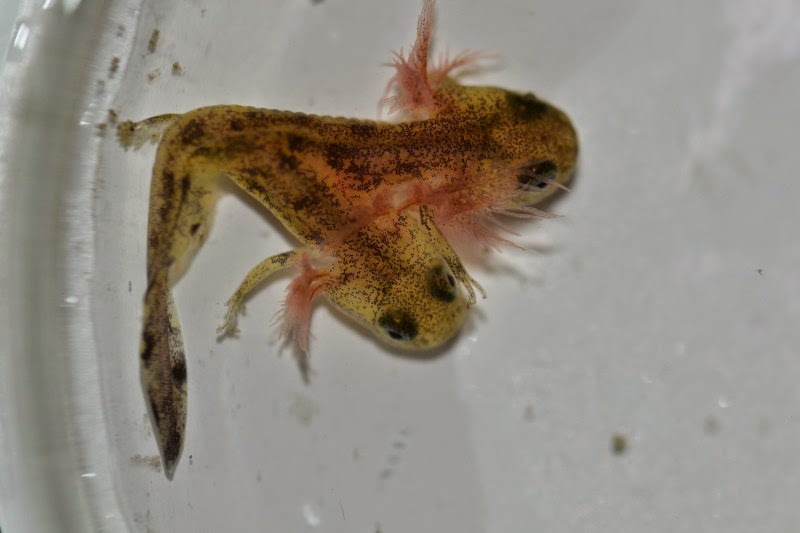 Two heads may be better than one, but this is not the case with a double-headed salamander tadpole discovered at the University of Haifa’s community ecology lab headed by Prof. Leon Blaustein. Researchers at the lab, Dr Ori Segev and Antonina Plavikov, noted that while they had observed an increased incidence of deformity, especially among the limbs of salamanders, cases of double-headness were much more rare. The reason behind this unique deformity known as polycephaly is still unknown, but the scientists hypothesize that it's possibly due to pollution of water, changes in radiation and the influence of a dwindling population. The Salamander of Israel is an endangered species, mainly due to factors which have disturbed its habitat, including soil and water pollution and the destruction of its natural habitat. Prof. Blaustein’s lab has been conducting research for many years to try to understand the biological mechanisms of this unique life form, with the aim of helping the nature and parks authorities maintain the existing population and revive populations in danger. The researchers say the salamanders act as a signal for the general health of the environment, because they are so sensitive to pollution and environmental changes and so they are the first to be influenced. 7 Two-Headed Animals: Click the link for more crazy double-headed animals! Two Headed Dolphin Found in Turkish Beach: A teacher on holidays spots a most unusual finding. A double headed dolphin! !